With the return of 24 it seems that TV has come full circle. Here’s a review of this weeks double bill with no spoilers. Jack Bauer has become a very famous name. Synonymous with the noughties War on Terror, Jack was a fictional American Counter Terrorism Officer unafraid of bending, and downright breaking, the rules – be they moral or legal. He was the symbol of an unyielding US military system but now times have changed. Jack’s on the run in the UK and the ninth season of 24 opens with a potential lead on his location. The four years that’ve passed between the eight and ninth seasons of the show have repercussion in the narrative world also. Jack is noticeably absent from the opening scenes of the first episode showing that without him the world hasn’t fallen apart. Much of Jack’s ‘police’ work in the earlier seasons was often brutal but always depicted as necessary. It’s ironic that the manic racing against the clock of the earlier seasons stopped when Jack dropped off the face of the earth. It could be read as Jack having always been the antagonist and the opening two episodes of season nine do little to disprove that assumption. Jack is most certainly back and 24 kicks off with few stylistic changes. In the real world Jack Bauer’s name has become something of a pop culture myth. This mythical status is also the way that many of the characters in the show see Bauer. He’s larger than life and the best bits in this week’s episode are the moments where Jack is in control and battling onwards with heroic, almost super-human strength. The four-year gap is dealt with well and the writers have used it to restock and reshuffle a relatively tired cast. There are some familiar faces but the majority of the cast is fresh and new. The technology they’re using is much more advanced and it marks a distinct technological move forwards in terms of government espionage capabilities. This of course is an area that Jack has continued to research whilst on the run and he remains well versed in counter terrorism response times and its general practices. There are a number of storylines introduced in this double bill and all of them have distinct potential for conflict. There’s the new president, former secretary of Defense James Heller, who appears to be in the early stages of Alzheimer’s. His daughter Audrey recovering from past traumas is now married to his chief of staff. There’s also the new blond agent that works at a London based US counter terrorism unit who functions as a narrative foil to Jack – she effectively is Jack, just fighting for the political good. These additions to the narrative suggest that Jack is no longer the main focus of the show and instead it seems that 24 will focus on his legacy. Both Audrey and Heller have unresolved issues and Jack’s resurgence could directly affect them negatively. It’s never been too clear if fans really wanted 24 to return – but it has. The good news is that it’s definitely 24. There are some great action scenes and the show has kept all of the stylistic touches that made it famous – the ticking clock, split screen, and Kiefer Sutherland. It’s also really good fun and the writers have managed to use the four-year gap to their advantage. The whole double bill is infused with all of the iconography, visual tropes, and character types that made 24 so popular in the first place. Hopefully this will grow into something new, and 24 will add to its legacy – not cheapen it. Jack Bauer is a man alone, with no country, and no friends. He does however have a purpose and some of his motivation is revealed in the first two episodes. Season nine looks set to be a return to form (although a shorter season) and fans should be satiated. For those who haven’t seen the preceding seasons you can still give season nine a watch. All you need to know is that Jack Bauer is a US trained, militarised ‘badass’ loose on the streets of London – think Bourne meets Rambo. 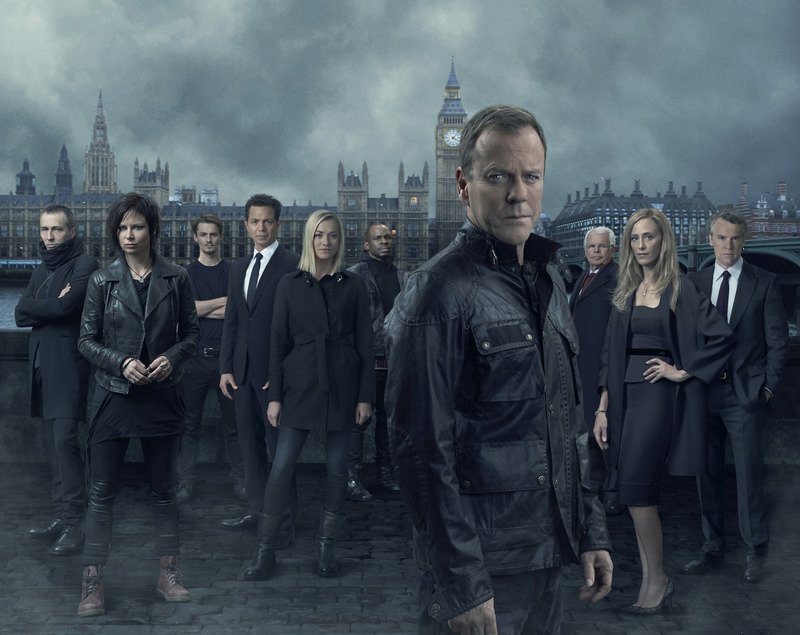 24: Live Another Day returns next Monday on Fox.